This is such a favorite of mine and it was soooo difficult to do, but the results are worth it! I use this kit all the time. 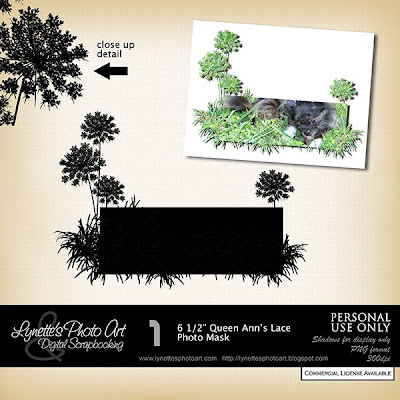 Queen Ann's Lace Kit is only $4.99 in my PayPal store. As always I give you large, high resolution products. 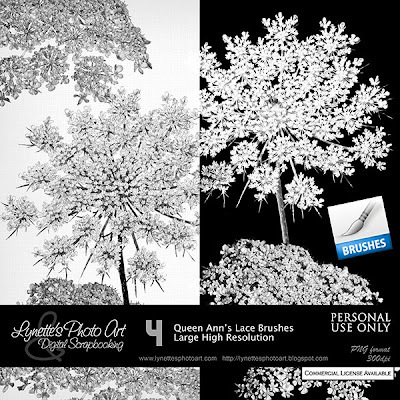 It contains this fabulous 12" border, 2 extracted flowers, a photo mask, a cluster and a set of the most gorgeous brushes I've ever seen and all for just $4.99. Just click the Buy It Now button below to purchase. Click the images to enlarge. This is such a cool paper! Hope you like it as well as I do! Thank you! Your blog post will be advertised on the DigiFree Digital Scrapbooking Freebie search engine today (look for timestamp: 19 Jul [LA 07:00pm, NY 09:00pm] - 20 Jul [UK 02:00am, OZ 12:00pm] ). 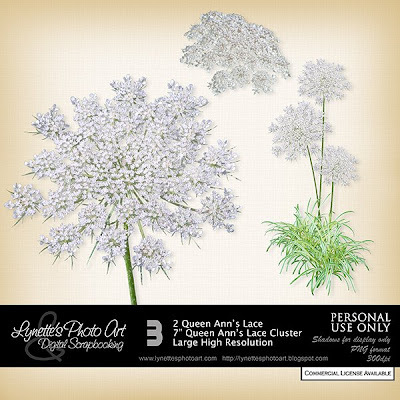 This queen anne's lace you have done is amazing. It must have taken a lot of patience! LOL Thank you for sharing. Thank you so much for this Freebie. 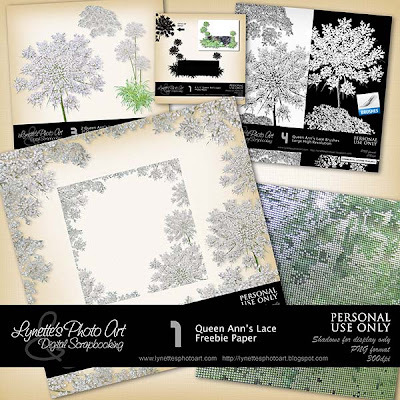 I want to let you know that I posted a link to your blog in Creative Busy Hands Scrapbook Freebies Search List, under the Page 6 post on Jul. 21, 2009. Thanks again. As always thank you for your freebie! 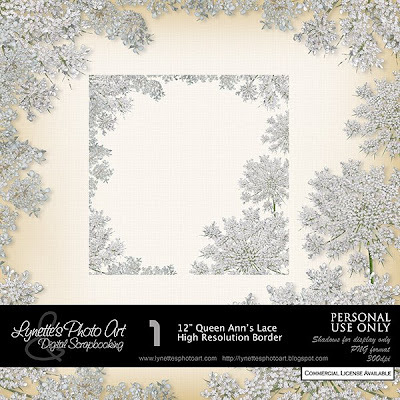 gorgeous lace, thanks so much for this beautiful freebie. Merci beaucoup.